"Having a job has not only given me a stable income, it has had a massive impact on my relationships and confidence." – Melanie Blower, Leicester customer. Melanie’s life took an unexpected turn when she suffered the loss of her mother at the same time as being dismissed from her job. Understandably shaken by her bereavement and with her confidence knocked by the dismissal, Melanie began to withdraw and isolate herself from the outside world. Melanie developed social anxiety after several months of unemployment and loneliness. She knew she was in a bad place but wasn’t sure how to get out. A chance encounter with one of our personal consultants, Malini, at the Jobcentre Plus gave Melanie the strength to signup for our support. Melanie received personalised support from Satinder. Satinder took the time to listen to Melanie at their first appointment so that she could properly understand her personal situation and barriers to employment. As well as her social anxiety and general lack of confidence Satinder identified that Melanie struggled with completing application forms due to her dyslexia. She also needed some support with searching for and recognising suitable employment opportunities. The two of them got to work at their regular appointments. Satinder introduced Melanie to the resources available for searching for jobs and helped her to complete application forms, making sure they were free from spelling and grammatical errors, and effectively showcased her workplace skills. Melanie was also teamed up with our Health and Wellbeing Facilitator owing to her mental health issues. 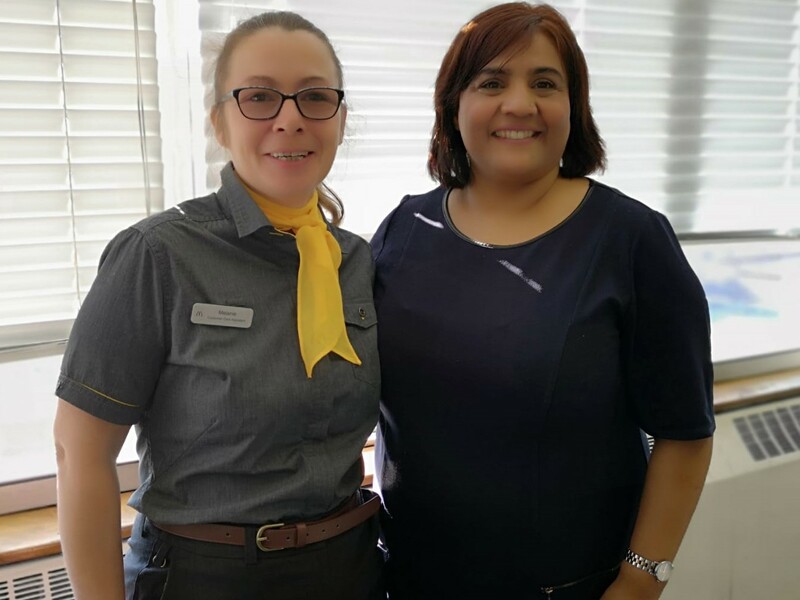 Emma invited Melanie along to some of her group workshops where customers can share their experiences with people in a similar situation, helping them to understand their issues and learn strategies for overcoming their health barriers to work. In particular, Melanie attended Emma’s ‘Confidence Building’ and ‘Managing Anxiety’ workshops. Regularly attending sessions with Links to Work, both one-to-one appointments and group workshops, gave Melanie a purpose and slowly her confidence began to return. It wasn’t long before Melanie was being offered interviews and she found the confidence enough to attend them. We’re happy to report that she was successful in gaining a position as a Customer Service Assistant with McDonald’s. Melanie says that her personality is slowly coming back thanks to Links to Work, she also reports that her family has noticed how much more positive, confident and happy she has become. She’s enjoying work, she loves dealing with customers and is hoping to stay with the company for many years. We’re sure her previous managerial experience will stand her in good stead for career progression. Follow us on Twitter or Facebook to receive updates on Melanie's progress.